Florida’s legislators are on the verge of removing this park from the state park system, ceasing state oversight & management, and eliminating the position of the one ranger who patrols and protects the park, its considerable wildlife, and its historic lighthouse & fort. 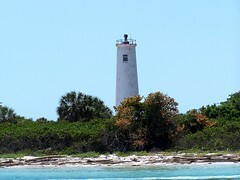 Egmont Key attracts 100,000 visitors a year. At a cost of only $140,000 per year, this park’s management is a sensible investment in a prime tourist attraction. The value of the site’s historic artifacts and wildlife habitat are, of course, priceless. “The national wildlife refuge is recognized as one of the most significant bird nesting colonies in the southeastern United States. Last year, nearly 1,000 brown pelicans nested on the island, along with 25,000 laughing gulls, 5,000 royal terns, 1,000 sandwich terns and 165 black skimmers. Three weeks later, legislators have turned against the park once more. This is yet another sign of our legislators’ misplaced priorities as they narrowly focus on their own petty short-term agendas rather than offer long-term vision and real solutions to our problems. Faced with today’s economic challenges, they mindlessly suggest ways to transfer more of the costs of development from developers to taxpayers — claiming we need to support development as an economic stimulus. They fail to see that tourism is a more sustainable revenue source than their Ponzi scheme of cancerous overdevelopment, and so they miss the value of this park as a tourist attraction. Furthermore, they are too shortsighted to preserve our legacy of historic and natural resources. They will only act in our interest if we demand this of them. Jim Spangler has once again issued a plea for help, asking people to urge our leaders not to abandon this valuable Tampa Bay asset. I’ve written a sample letter, with e-mail links for some of the relevant lawmakers, to make it easy for you to ask them to continue to keep this park safe for wildlife as well as Florida residents and visitors. 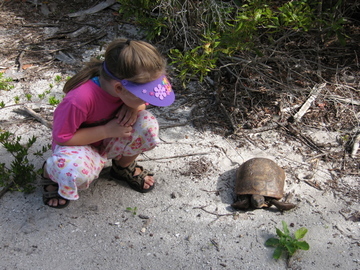 Thanks to all who urged state lawmakers to save Egmont Key! Our legislators have heard us, and we are making a difference. The state’s draft budget now includes funding for Egmont Key as a state park! Eric Draper, Deputy Director of Florida Audubon, announced this good news at last night’s gala event in Tampa (the 75th Anniversary of Florida Coastal Islands Sanctuaries). He stressed that the funding for Egmont Key is a direct result of the tremendous citizen support that has poured into Tallahassee in the form of our calls and e-mails. He also pointed out that it’s not over until the budget is officially signed, but as of now things look good for Egmont Key. Next time you marvel at a bird around Tampa Bay, think of the thousands of birds born on Egmont Key each year — pelicans, terns, gulls, skimmers — and know that your e-mail or phone call helped protect one of the most significant bird nesting colonies in the southeastern United States. Next story Will county develop the middle of a river?